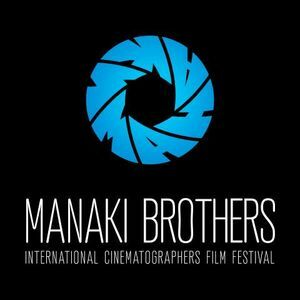 The name of the International Cinematographers’ Film Festival “MANAKI BROTHERS”, is in honor and inspired by the abundant cinematographic opus of the MANAKI brothers: Yanaki (1878-1954) and Milton (1880-1964), the two brothers who in 1905 brought the first film camera on the Balkan Peninsula. The festival has started in 1979 as an initiative of The Association of Film Professionals of Macedonia, the city of Bitola and the Cinematheque of Macedonia, Today the Festival is one of the most respectable places in the World, where the work of the Directors of photography are priced. Every year the best cinematographers across the worlde compete for the three main festival awards: The Golden, the Silver and the Bronze Camera 300. Every time, the festival is held, thousands admirers of the film art enjoy the best cinematic achievements of the past year. Besides in the movies, they are enjoying in the surrounding (environment) of many guest and stars known from the screen. Call for entry for the 40th edition of ICFF “Manaki Brothers” September 14th to 21st 2019 in Bitola, Macedonia. The International Cinematographers` Film Festival “Manaki Brothers”is the oldest one among the few film festivals in the world that evaluate the creative work of the cinematographer as a key figure in the creation procedure of the film.